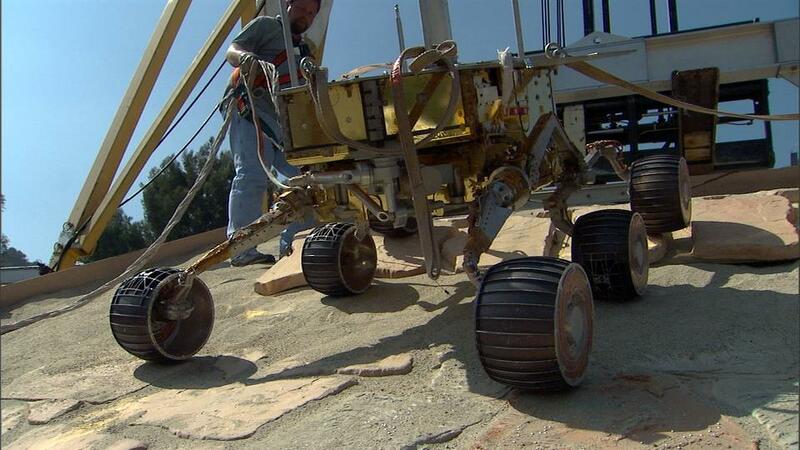 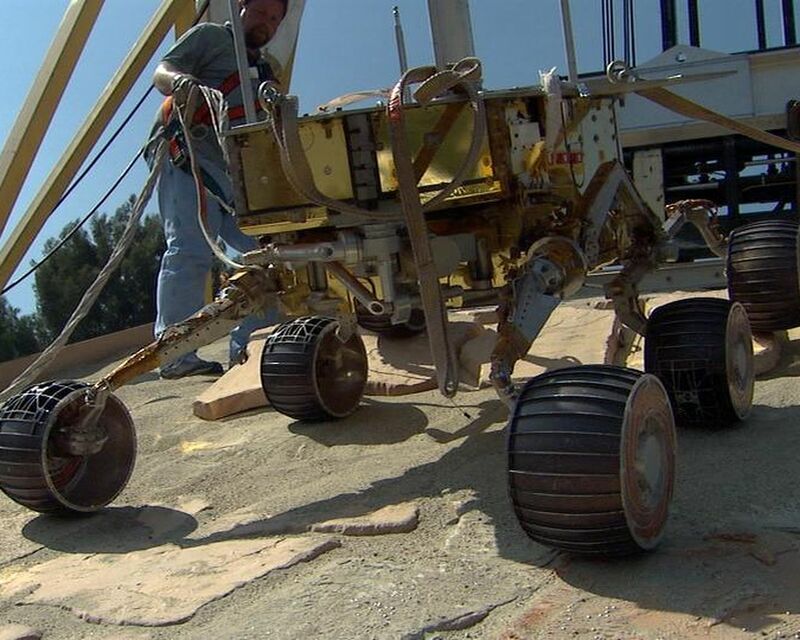 This image taken at NASA's Jet Propulsion Laboratory shows a rover test drive up a manmade slope. 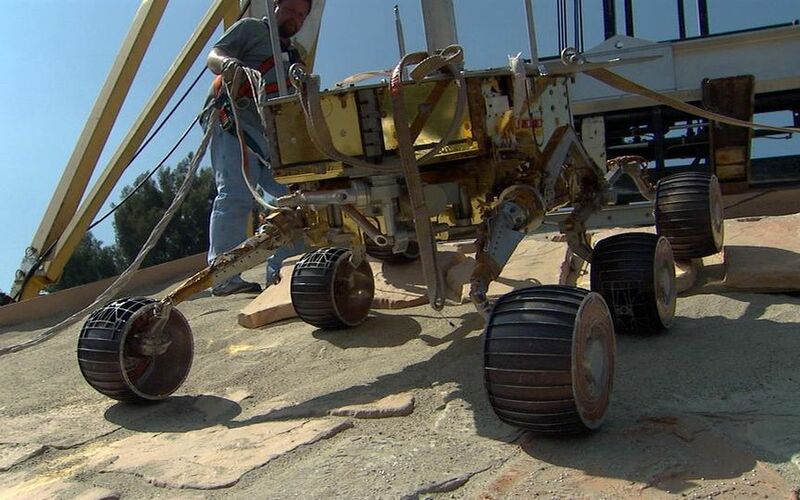 The slope simulates one that the Mars Exploration Rover Opportunity will face on Mars if it is sent commands to explore rock outcrop that lies farther into "Endurance Crater." Using sand, dirt and rocks, scientists and engineers at JPL constructed the overall platform of the slope at a 25-degree angle, with a 40-degree step in the middle. 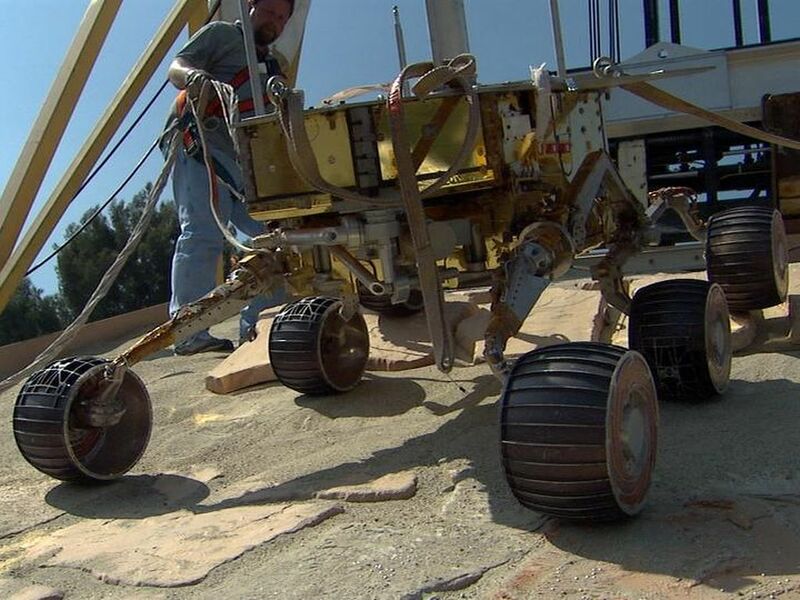 The test rover successfully descended and climbed the platform, adding confidence that Opportunity could cross a similar hurdle in Endurance Crater.